We produce flexible packaging made of paper, films and composite materials. “Excellence in Packaging” is more than just a slogan for us – it is our guiding principle. We would like to convince you of our knowledge and ability. Our team actively supports you with regard to packaging solutions, production and logistics. What a successful Fachpack 2018 – a short review from our side! 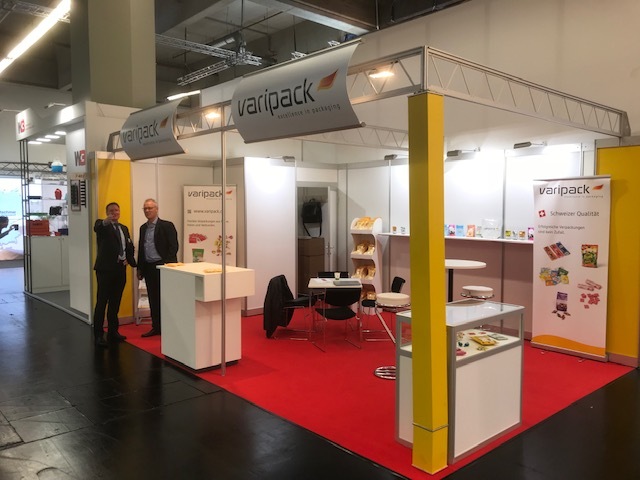 We at Varipack felt happy about the interesting discussions and the great feedback regarding our exhibition stand and our product range. Fachpack was a great success for us. At the trade fair, the contacts with existing customers and suppliers are always very important to us, as well as getting to know new companies. At this point we would like to thank all of you for visiting our exhibition stand. Next year we will participate again in the Fachpack 2019. All visitors may look forward to news from our house again!